Freedom Flotilla to Gaza: What next? 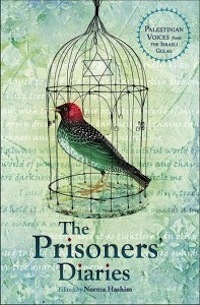 At least nine people from Sweden, Norway, and Canada remain in Israeli custody. Kiwi journalists have been released. Directly contradicting initial reports from the Israeli Navy that the boarding of a Swedish vessel traveling to break the blockade of Gaza was an “uneventful” incident, campaigners reported Tuesday that several people on board, in fact, were violently treated and shot with tasers. Basil Ghattas, a Palestinian member of the Israeli Knesset who was on the Marianne, confirmed to the Middle East Eye that the Israeli military’s takeover of the ship was indeed violent. At least nine people from the international crew remain in Israeli custody after their ship was seized early Monday morning roughly 100 nautical miles from Gaza. A total of 18 people from around the world were on the vessel, and those who are not currently detained have been deported. Campaigners argue that Israel’s seizure of the vessel—named Marianne of Gothernburg—in itself constitutes piracy and kidnapping, as the boat was in international waters. Israel has a bloody history of attacking such vessels, including the 2010 assault on the Mavi Marmara ship sailing from Turkey that killed nine people and wounded dozens. Despite the risks, global campaigners continue to sail in a symbolic show of solidarity and resistance to the blockade, which is politically and financially backed by the United States and enabled by the direct participation of Egypt. The three supporting vessels in Freedom Flotilla III turned back to the Greek ports they embarked from following the Israeli military’s seizure of the Marianne. But global campaigners say they are already setting their sights on the next voyage. A Māori Television crew will be flown back from Israel after their boat was detained by the Israeli Navy while attempting to break the Gaza blockade. Native Affairs senior reporter Ruwani Perera and cameraman Jacob Bryant, were invited to join the Freedom Flotilla FF3 as observers to document their quest by New Zealand organisation Kia Ora Gaza. Head of News and Current Affairs Maramena Roderick says Ms Perera and Mr Bryant are both safe and well and are expected to arrive back in New Zealand tomorrow. She says Māori Television staff are working with authorities at the New Zealand embassy in Ankara, Turkey to support the crew. “Foreign Affairs says their embassy staff in Ankara had informed them that both Ruwani and Jacob have been treated well and with respect by local authorities. Statement from Palestinian & Jewish organisations in Israel. 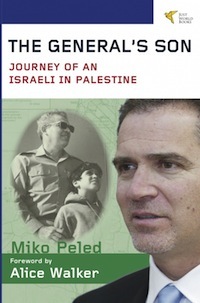 Posted on freedomflotilla.org 28 June 2015. We, Palestinian and Jewish organizations and activists in Israel, oppose the Israeli policy of ongoing human rights violations, a policy that seeks to maintain its control through the siege that is strangulating the Palestinian people. The siege undermines the development of an independent economy and keeps Gazans under occupation, dependent on Israel for their most basic humanitarian needs. We support the struggle to end the occupation in the Palestinian territories, as well as the besieged Gaza strip. We support international solidarity, including the Gaza flotilla. 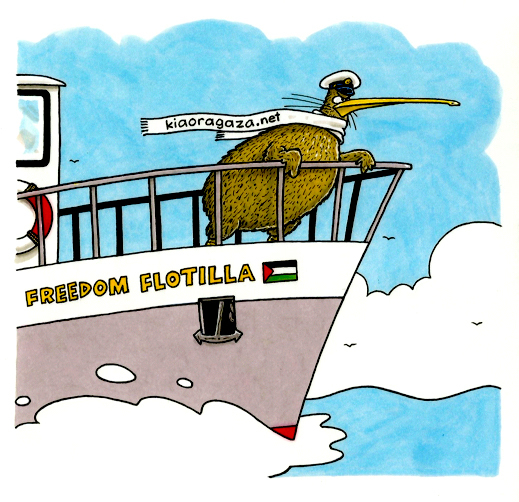 I wish to draw to your attention, that two New Zealand journalists have joined other international media personnel on board the Freedom Flotilla III to observe and document this peaceful civil society mission to challenge the inhumane Israeli naval blockade of Gaza and to deliver some aid. We urgently request the NZ Government to promptly call on the Israeli authorities to allow the Freedom Flotilla III boats safe passage to their destination. Little fishing boats prepare for a huge welcome for the international flotilla in Gaza port. Preparations are being made in Gaza coinciding with the countdown for the launch of the latest Freedom Flotilla. There are dozens of European activists, Arab figures and journalists aboard the five ships that make up the flotilla. According to the European Campaign to End the Siege on Gaza (ECESG), the ships have come from ports across Europe. The Government Committee for Breaking the Siege on Gaza lit a torch to mark the sailing of Freedom Flotilla III, which is scheduled to reach Gaza port on Friday. Alaa Al-Batta, head of the committee, told a press conference in the port on Tuesday that the final countdown has started and the flotilla is ready to set sail for Gaza, which has been besieged by Israel for nine years. “The Freedom Flotilla is only a few hours away from the Gaza seaport,” he said. “All Palestinians, across the spectrum, are standing here today to welcome and support the flotilla.” People from all over the world of all religions and ethnicities have gathered in solidarity out of their love for Palestine in an effort to lift the unjust siege, added Al-Batta. On board are two New Zealand media reps; senior journalist with MaoriTV, Ruwani Perera, and award-winning cameraman, Jake Bryant (both of whom can be briefly spotted in this video clip during the wharf-side briefing). Their mission has been facilitated by Kia Ora Gaza. Watch out for their reports. The Marianne, which has sailed from Sweden, stopped in at the Messina port to receive the solidarity and support of Italian people. From there, Gaza is on the horizon. The Swedish ship ‘Marianne’ has reached the Mediterranean to join the rest of the international Freedom Flotilla III boats heading for the port of Gaza this month. Our intrepid Kiwi delegation will be among the contingents from about 20 nations on board, determined to challenge Israel’s illegal & cruel blockade of Gaza. After the historic visit, the flotilla boats will load up with local produce for export. Messages of support for the Kiwi delegation, and donations towards the cost of this mission are welcome – our appeal target is $20,000. See the sidebar for options. When Freedom Flotilla III sets sail for Gaza next month, former Tunisian President Moncef Marzouki affirms that he will be on board, along with delegations from up to 20 countires. Representatives of the Freedom Flotilla Coalition (FFC) and partner organizations traveled to Tunis (recently) where they participated in the World Social Forum. 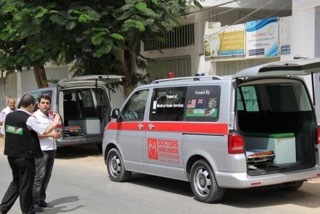 During the WSF they met with several Palestinian and Tunisian civil society organizations. FFC representatives were also received by Dr. Moncef Marzouki, former President of Tunisia and renowned Human Rights defender. During the meeting Dr. Marzouki gave FFC his full support and confirmed that he will be on board of one of Freedom Flotilla III ships. The week was concluded with an internal FFC and partners meeting during which the FFC points of unity were reconfirmed. The group agreed that FF3 will sail with at least three ships.